Cornerstone Specialty Wood Products, LLC® manufactures the leading elevated flooring solution, ResinDek® panels, designed and engineered specifically for mezzanines, industrial work platforms and pick modules. As a world leader in mezzanine flooring, Cornerstone Specialty Wood Products will be introducing a new product lineup at the MODEX Show in Atlanta, Georgia on April 4th, 2016. Headlining the show will be the new ResinDek® LD mezzanine floor panel. With a lower panel cost, the new ResinDek LD mezzanine floor panel offers a tremendous value for warehouse mezzanine floors, conveyor platforms or rack platforms that require durability, a showcase appearance, and ease of maintenance. The ResinDek LD flooring panel is custom manufactured and engineered for a 2,000 lbs pallet jack capacity. "Not only does the ResinDek LD floor panel cost less, but it now weighs less too, thus providing additional savings on freight," said Keith Shipman, National Sales Manager. ResinDek® SD is a new name for a familiar, trusted product – The traditional ResinDek LD. The ResinDek SD floor panel comes standard with a 2,500 lbs wheel load capacity. Like the ResinDek LD, the ResinDek SD mezzanine floor panel provides long-lasting durability, aesthetic appeal and is easy to maintain. 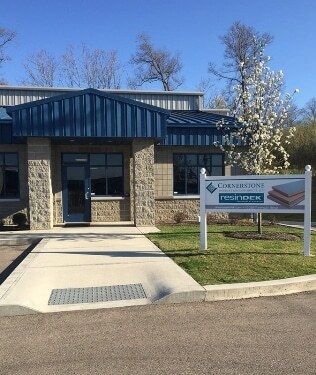 The entire Cornerstone Specialty Wood Products' team is dedicated to providing the best elevated flooring product available on the market. "For three long years we have been researching and developing the new ResinDek LD, so that we could provide the right product for the right application. We are very excited to be able to provide the ResinDek LD floor panel as a cost saving solutions for our customers," concluded Keith Shipman, National Sales Manager. ResinDek® panels offer superior design and engineering processes which enhance the functionality, durability and life of the floor. ResinDek panels have proven structural integrity and support live and dead pallet jack loads from 2,000 – 8,000 lbs. Cornerstone Specialty Wood Products offers onsite installation assistance, detailed CAD drawings and an unprecedented 10-year product warranty. Be sure to stop by Cornerstone Specialty Wood Product booth #2657 at the MODEX Show for more information or visit their website at: www.resindek.com.